Fly to the city by the water and land in the afternoon. Hopefully you arrive at Pudong International airport, so that you can take the maglev train to the city. Driving 430 km/h the journey only takes 8 minutes. The last and only station is on the Pudong side of town, so you still need to get a taxi, but it’s worth exploring this eastern side of the Pu-river. Only villages and rice paddies a few decades back, today home to the world’s tallest buildings, multinational HQ and hundred of thousands of modern apartments. 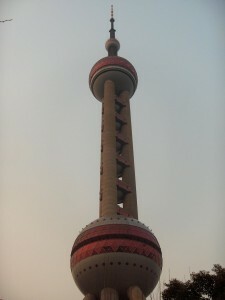 Visit the iconic TV-tower, it has a nice view of the busy river and The Bund, and also a historical museum in the basement. Shanghai is China’s most modern and rich city, so you have to sleep in style. No better hotel than Grand Hyatt, the lobby is on the 52 floor of the Jinmao building. Possible the most beautiful skyscraper in the world. Put you tie and best shoes on for an evening drink at Cloud 9 bar, on floor 87. The endless city looks so tiny from here. After seeing the modern Shanghai, it’s time to step back in time. Unlike most other Chinese cities, in Shanghai that means only about 100 years. That’s when the city started attracting diplomats, business people, sailors and adventurers for real. The town was part of the war settlement after the Opium Wars, and so built by and for foreigners. The result is fun art deco architecture and a very special atmosphere. Best way to get from Pudong to Puxi is by taking a very surreal tourist underground train, with a special light and sounds show. At least you forget you are under water. 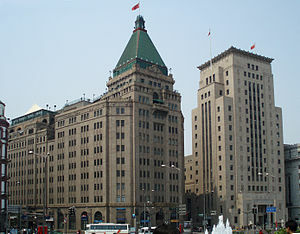 Stroll along The Bund, check into newly renovated Peace Hotel, and walk up Nanjing Road to People’s Square. Here you find Shanghai Museum, with it’s beautiful collection of all things old Chinese. The gift shop is great for gifts, by the way. Get over to the French Concession, one of the old, international residential areas. It should be possible to find a good place for lunch around here. Walk the quiet streets or head to Huaihai Road for shopping. In the evening you can have a decadent dinner at M on the Bund, or visit Xintiandi for people spotting and a not particularly cheap meal. After focusing on the modern Shanghai and then the western influence, is there anything truly Chinese to discover? Of course, Shanghai will never let you doubt you are in China, but there are fewer typical sights. 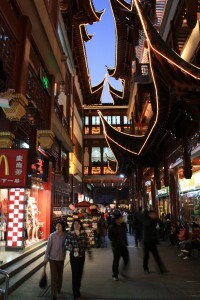 For a Chinese fix, head to Yuyuan, also known as The Old Town or Bazaar. Not sure how old this actually is, but at least it looks very Chinese. There is a small garden to visit, it’s beautiful, but too many tourist unfortunately ruin the otherwise tranquil atmosphere. The tea house out on a small pond is fun (and over prized), and really this whole area is a big shopping center with thousands of small shops selling everything possible. However, it’s easy to spend a couple of hours wandering around, looking at people and buying some souvenirs. Get your lunch by testing all the local specialities from the snack bars, before heading to the airport.